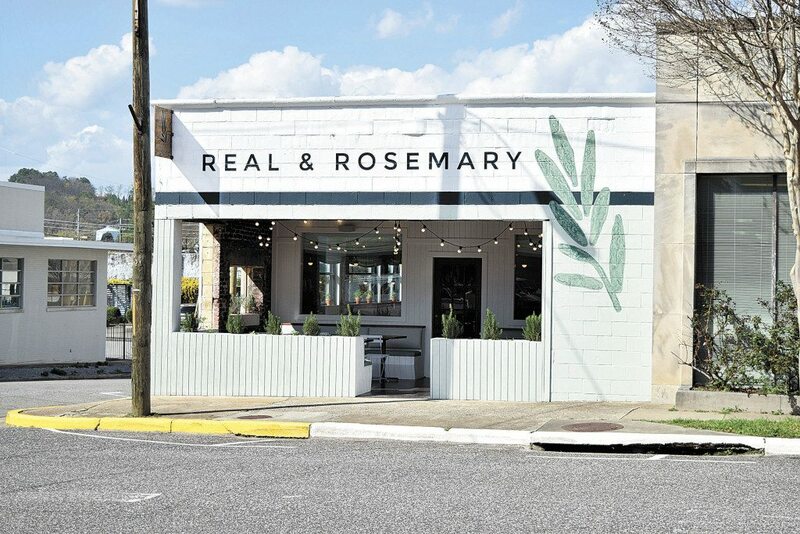 Homewood recently welcomed the opening of of restaurant Real & Rosemary. Photos special to the Journal. Jennifer Mims wants her children, Jemma and Caled, to learn to love the fresh foods their mom had as a child. Photo by CBM Photo. You couldn’t describe Jennifer Mims’ daughter as a Gerber baby. That’s not because Jemma, now 4, wasn’t bright-eyed and beautiful, but because her mother shied away from store-bought food. 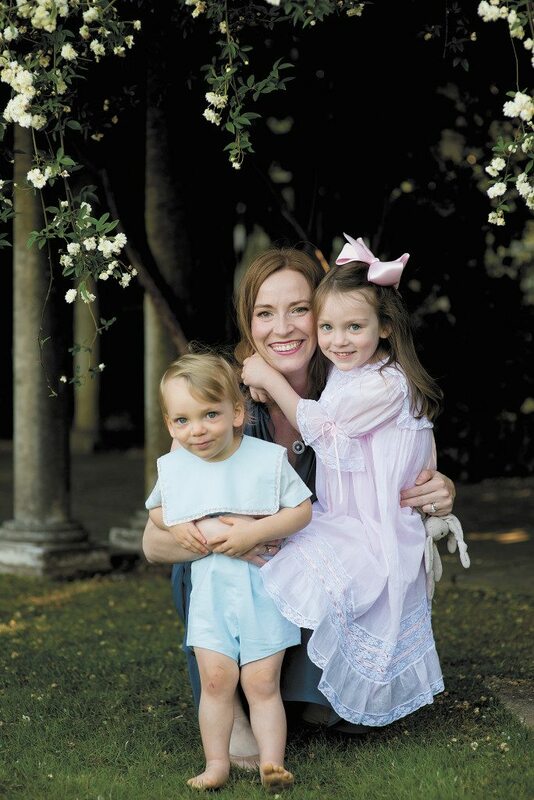 These days, the Cahaba Heights mom is feeding not only her family – which includes her husband, Les, and their son, Caleb, almost 2 – but customers at her new Homewood restaurant as well. She started planning Real & Rosemary about a year ago and opened it in March with business partner Nate Carlson. Her own mother, Joy Traywick, was one of her inspirations, she said. 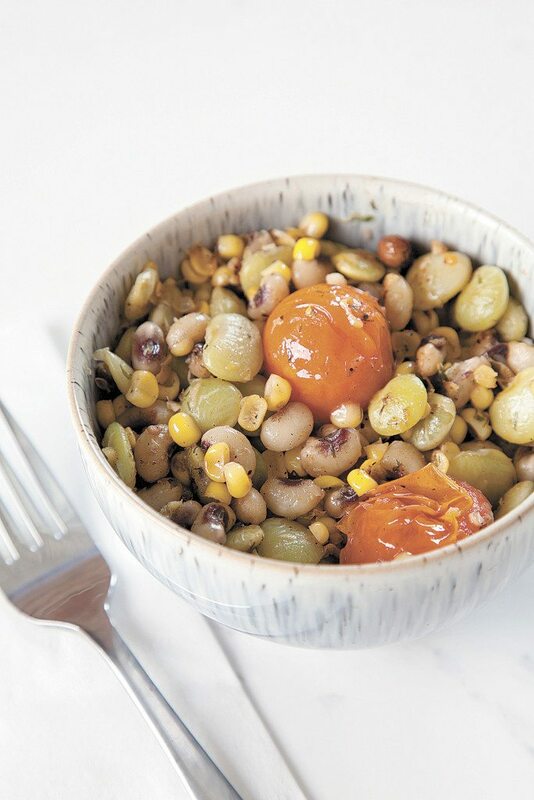 Eating garden-grown food and doing chores like shelling peas, picking pecans and husking corn were a big part of her childhood, she said. “Once I moved to Birmingham, I realized everyone didn’t grow up that way,” Mims said. After graduating from the University of Alabama with a bachelor’s degree in finance and a master’s degree in real estate, Mims went to work for Zoe’s Kitchen. Mims said her restaurant’s name came from the “real” food it serves – with no preservatives, food dyes or MSG – and from one of her mother’s favorite plants. Corn polenta cake, humble green peas and brussel sprouts. “My mom always grew rosemary as well as mint and other herbs and cooked with them,” she said. Diners likely will recognize most of the ingredients listed on the menu. But they may be surprised by the ways in which they’re combined. Take collard greens, for example. Also on the menu, which Mims said will be updated from time to time, are intriguing creations such as sweet potato wedges with lemongrass dipping sauce; a beet, fig and goat cheese sandwich made with cranberry-walnut bread; flounder cakes with yogurt remoulade; and braised meatballs made from a recipe that’s about 100 years old. The braised beef soup, which comes in a cup or a bowl, “is like boeuf bourguignon – it’s a fun dish,” Mims said. Side dishes aren’t just afterthoughts. 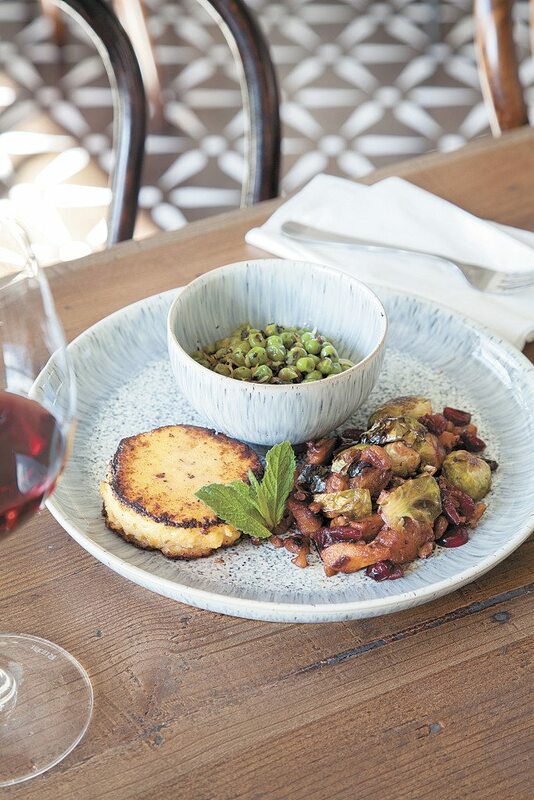 Among the Real & Rosemary offerings are succotash with herb butter, roasted Brussels sprouts with butternut squash, charred carrots with thyme and corn polenta cakes. Kids’ menus often are heavy on the fried chicken finger-type of food, but Mims took extra care with her choices for children. The AB&J sandwich, her son’s favorite, is made with almond butter and house-made blueberry jam. Her daughter’s favorite is the spaghetti and meatballs. Pint-sized side dishes include polenta bites, zucchini salad with avocado pesto, and fresh fruit. The restaurant is open daily from 11 a.m. to 9 p.m. Beer and wine are served all day, and cocktails join the party after 4 p.m.
Mims said that although she’s a purist when it comes to food, that doesn’t mean she pushes candied kale for dessert. “People have loved our ice cream sandwiches, which are made with lemon-rosemary cookies from Pastry Arts and Mexican vanilla ice cream from Austin, Texas,” she said. Real & Rosemary also has a catering service. “We do box lunches and platters, and we can do events from 10 to several hundred people,” she said. The menu soon will include dinners for four, Mims said, with a main dish and two sides. The restaurant at 1922 29th Ave. South was built in 1935 and formerly housed a dry cleaning business, she said. Windows were lowered to bring in more light. Carlson made the coat rack, and the front door is from an old plantation home, she said. Outside, there’s seating on the patio, where one wall has a mural. “That mural is the most Instagrammed thing about the restaurant,” Mims said. Of course, planters have been filled with rosemary. Mims said she chose Homewood as the restaurant’s location because it’s centrally located for people who live in the Birmingham area. Customers and fellow business owners have been welcoming, she said. “It’s been fun to meet all our neighbors in the business community,” Mims said. She hopes Real & Rosemary will appeal to all ages. Mims said she and her husband like encouraging Jemma and Caleb to be adventurous eaters. Their mother’s enthusiasm for the new restaurant has been catching. For more information, visit www.realandrosemary.com or check out the restaurant on Facebook, Instagram, Pinterest and Twitter.